At Pubcon yesterday, Gary Illyes from Google focused quite a bit of time on structured data, stressing the importance of its use by site owners. And while schema is popular for some types of websites, many sites are not implementing any kind of schema at all, or perhaps only default schema their CMS adds. Illyes added an interesting detail to the structured data conversation for SEOs to be aware of – using structured data can help rank webpages better, as Google can use the structured data to understand the page better. And even more interesting, Google can use, and recommends using, structured data that isn’t listed in developers.google.com. Structured data. This is one of those things that i want you to pay lots of attention to this year. It is almost like we started building lots of new features that rely on structured data, kind of like we started caring more and more and more about structured data. That is an important hint for you if you want your sites to appear in search features, implement structured data. Illyes then confirms that schema is being used for indexing and ranking, outside of simply being used to be show as search feature in the results. But more importantly, add structure data to your pages because during indexing, we will be able to better understand what your site is about. But most interestingly, Illyes also recommends using any of the official schema.org schema, and not just limit your site to the officially supported ones in the Google developer docs for structured data. And don’t just think about the structured data that we documented on developers.google.com. Think about any schema.org schema that you could use on your pages. It will help us understand your pages better, and indirectly, it leads to better ranks in some sense, because we can rank easier. So structured data is important, take any schema from schema.org and implement it, as it will help. We can also expect that some of these schema.org types will be added to the search results as additional search features as well, although it is hard to know what Google will implement prior to the doing so. That said, with Google recommending adding schema, sites can be ready when Google does turn on specific search features, as the markup would already be in place. However, you want to be careful you aren’t being spammy with your schema either, use only schema types that fit the page or the site. Otherwise, sites run the risk of getting a spammy structured data manual action, which would result in the site losing all search features like rating reviews until the manual action is lifted. 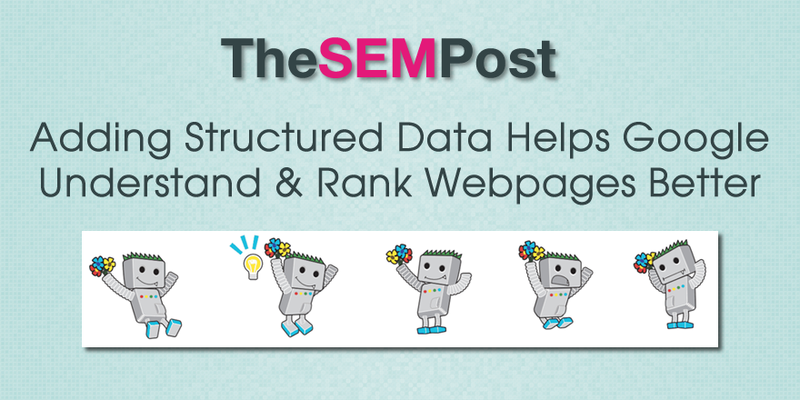 But exploring structured data you can add to your pages can help with Google better understanding your webpages and rank them easier with it in place.